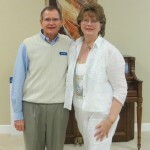 Numerous studies on the effectiveness of energy healing can be found at The Healing Trust website at the Research tab. The Charity’s new Logo reflects the seven chakra colors and embraces Sacred Geometry, thus preserving the energy of the organization. Its dynamic and powerful design was passed unanimously by Council and the Board of Trustees and is envisioned to move our Charity forward with renewed loving intent and vitality. 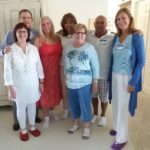 These talks in Naples are a unique opportunity to see an energy healing practitioner’s studio and to learn about the business of healing. Agenda topics: Sensing Energy, Breathing for Life, Healing Circle, etc. Suggested Love Offering: $20. Course tuition may be paid by check, credit card or PayPal. We are always searching for new locations to offer NFSH-The Healing Trust Weekend Classes. If you have a location or venue in mind, please let us know. 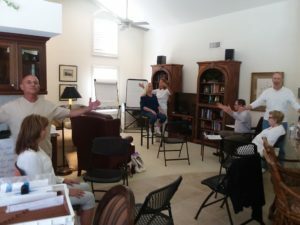 NFSH-The Healing Trust Student Practice Sessions are held from 6:30 pm to 8:30 pm at Unity of Naples, 2,000 Unity Way, Naples, FL 34112 – Fellowship Hall. Scheduled Practice Session dates are October 16 and December 18, 2018. 2019 dates are: February 19, 2019, April 16, 2019, June 18, 2019, October 15, 2019 and December 17, 2019. Student Members, Healer Members and Tutors are welcome! Call Karen Coratelli-Smith at 239-692-9120 or email ksmith727@comcast.net. Energy Healing is the act of restoring balance and harmony to the body, mind and spirit of the client. It is a therapeutic approach which is natural, non-invasive and holistic. 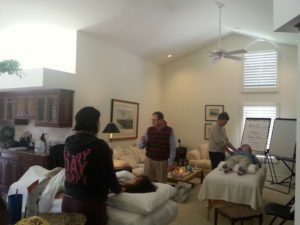 The intention is to promote self-healing and bring about a sense of well being and peace to the client. 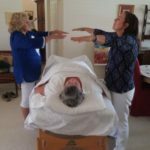 An Energy Healing practitioner is able to act as a conduit, connecting to the universal energy source and will either lightly touch or work a few inches from the body. This allows healing energy to pass into the client’s energy field, thus restoring balance and harmony. Holistic medicine teaches that the body’s energy system is a key element to maintaining health and vitality. When the body’s energy system becomes imbalanced and blocked, illness can result. By channeling universal energy through the Healing practitioner to the client, these blockages are energetically removed and the body starts to function as it is designed to. Lots. Please refer to our Research page. 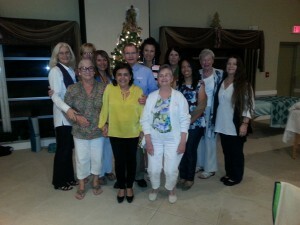 What are the benefits of healthcare professionals learning about the NFSH - The Healing Trust method of energy healing? 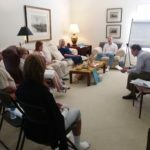 The NFSH-The Healing Trust method is a complementary method of energy healing that works alongside conventional medicine to augment the self-healing abilities of the body. 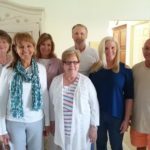 By learning about the NFSH-The Healing Trust method of energy healing healthcare professionals will develop a broad understanding of not only the method itself, but also develop an expertise in the broad field of energy medicine and the science that underlies this powerful healing technique. 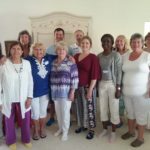 This knowledge allows healthcare professionals to expand their scope of practice, and allows them the option to become certified in the NFSH-The Healing Trust method. 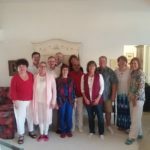 It will also allow them to understand the differences between valid methods of energy medicine, to better guide them as they work with patients who are either already receiving some form of energy medicine, or are searching for a properly trained energy medicine practitioner. Our classes are appropriate for anyone, not just those in the healthcare industry. How old is this modality? Energy healing is perhaps the oldest medical intervention, dating back thousands of years. Even the Father of Medicine, Hippocrates, was a hands on energy healer. The NFSH-The Healing Trust Method was instituted by Harry Edwards in 1954. How does the NFSH-The Healing Trust method differ from Reiki and other healing modalities? There are a number of energy healing modalities available today. 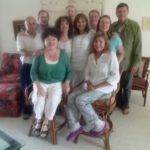 For all of them, the energy originates from the same place and the differences have to do with country of origin and how the practitioner is trained to attune to the universal energy source. Reiki originated in Japan and teaches the use of symbols in the attunement process. The NFSH-The Healing Trust Method originated in England and does not involve the use of symbols. NFSH-The Healing Trust offers a professional training program which insures the practitioner has met certain standards of training and practice. 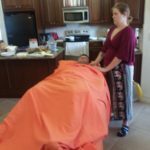 Reiki does not offer a certification program. Is it necessary to have faith in order for healing to work? No. But an open mind is helpful. Universal energy can be accessed for healing regardless of faith or belief systems. A “cure” is a return to physical health or the absence of disease. For example, cancer goes into remission, tumors shrink and disappear, and paraplegics walk again. Healing restores balance to body, mind and spirit and may or may not include the cure of a disease process. Can anyone learn to do energy healing? 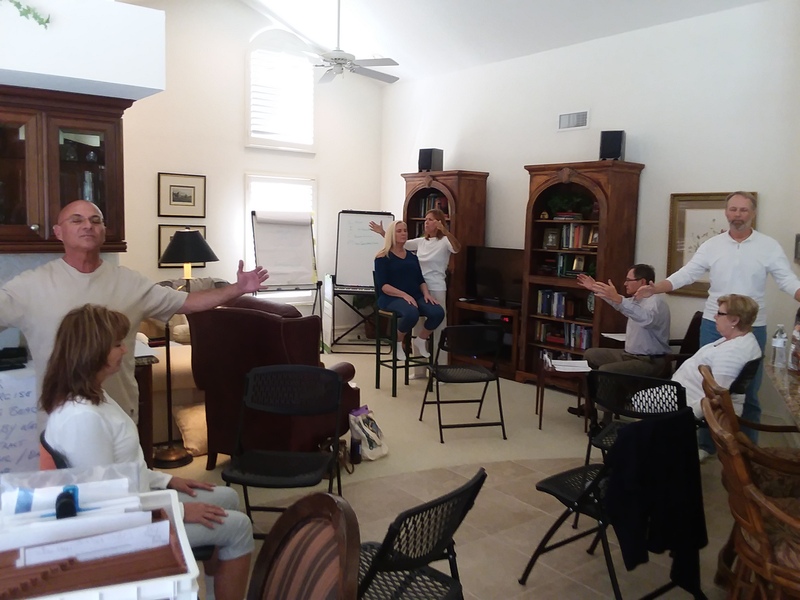 It is our belief, and the belief of our founder Harry Edwards, that everyone can learn to do energy healing. It almost always helps in some way in that it brings relaxation and balance to body, mind and spirit and allows the body’s own healing mechanisms to go to work. It does not guarantee a cure although a cure often takes place. Can a healing practitioner guarantee a cure? We cannot guarantee a cure. Neither can medical doctors for that matter. But energy healing almost always brings about some benefit as it balances body, mind and spirit and allows the body’s own healing mechanisms to go to work. Can healing do any harm? Energy healing never does harm. However, in the course of receiving healing sessions, a patient sometimes feels slightly worse before feeling better. This is a result of the illness leaving the body and is considered a good sign. Why take classes from you if I already am a natural healer? Many people have a natural ability to do healing, but without learning how to ground and protect themselves, they can feel depleted or take on their client’s illness. Like a prodigy who can sit down at the piano and play by ear, they will only improve with lessons. How can you charge money for something that’s so natural? We charge for our time, not for the healing. The healing comes through the practitioner, and not from us. Yes, healing is very natural. 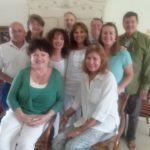 And it is the position NFSH- The Healing Trust and founder Harry Edwards that everyone has the innate ability to do healing. 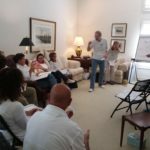 But we also teach the importance of self-healing of the healer and learning to do energy healing in a grounded, protected manner for the protection of both the healer and the client. Training to enhance the gift is highly recommended. 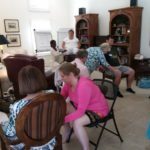 I have done healing sessions for natural healers who had absorbed so much of their client’s released negative energy that the healers themselves became sick. They may have had a natural gift, but not enough training to know how to use it fully and keep themselves well. A client giving something in exchange for a healing session shows that the client values the time and effort the healer has put into enhancing what may have started out as a natural gift. Research shows that the best healers have a strong meditation practice. All the time that goes into the healer’s own self-healing and spiritual practice adds to the benefit they are able to offer clients. Last, but not least, being willing to give something in exchange indicates that the client is invested in and committed to their own healing. Money is a highly convenient medium of exchange in our society. But it’s not the only way to offer exchange. I have done healing for snow plowing, art work, house cleaning and a variety of other interesting trades. The concept of exchange for value makes the world go round in a smooth, harmonious manner. And makes us all gracious guests on planet earth. A client sits on a chair or lies on a couch or massage table fully clothed. The healing can be done either by a light touch from the practitioner or with the practitioner’s hands a few inches off the body. The amount of time the session takes may vary depending on the client’s needs. What do your courses cost? Course tuition differs in different parts of the country. Please see the website page for the states nearest to you. Can I take just one course or must I take all four? You may take just one course. To become a full healer member you must take all four courses in order. How do I become a healer member of the NFSH-The Healing Trust?